All addictions, whether to substances or to behaviors, involve both physical and psychological processes. Each person’s experience of addiction is slightly different, but usually involves a cluster of some of the below signs and symptoms of addiction. Symptoms can only be experienced by the person with the addiction, whereas signs can be observed by other people. You can never know what someone else is experiencing unless they tell you, so if you are concerned that someone else may have an addiction, look for signs as well as for symptoms. Drug paraphernalia such as unusual pipes, cigarette papers, small weighing scales, etc. Most of the signs of addiction can have other explanations too. For example, someone can be secretive because they are planning a birthday surprise for a friend. People can have changes of energy for numerous reasons, health-related and otherwise. They can make new friendships and end old ones for many reasons other than addictions. Be cautious about jumping to conclusions. Unless you have found drugs or drug paraphernalia or have some other obvious evidence of an addiction, it is likely there is another explanation. However, do not be naïve if you have found drugs or drug paraphernalia, as you may end up with legal problems if you do not address the situation. Most of the signs of addiction are similar to normal teenage behavior. 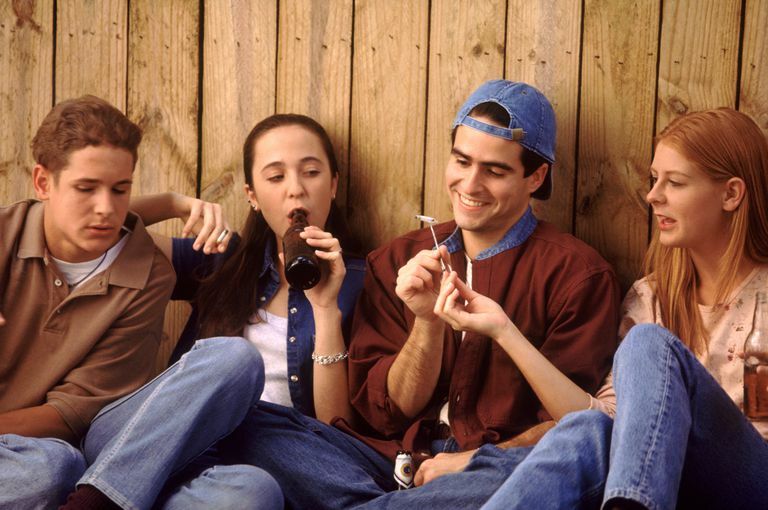 Unfortunately, teenagers are one of the groups most vulnerable to addiction. Parents who are concerned about their teenage child should be very careful when discussing addiction with a teenager. The links below will give you more details of the signs and symptoms of specific addictions. American Psychiatric Association. “Diagnostic and Statistical Manual of Mental Disorders” (4th Edition – Text Revision), Washington DC, American Psychiatric Association. 1994. Marks, Isaac. “Behavioural (Non-Chemical) Addictions.” British Journal of Addiction 1990 85:1389-1394. 24 Jul. 2008. Responsible Gambling Council. “Warning Signs: Signs Someone You Know May Have A Problem With Gambling.” July 24, 2008. Society for the Advancement of Sexual Health. “Sexual Addiction.” March 28, 2014.